Every roof was once new, but even the most well designed and installed roofs eventually require repairs and replacement. The average lifespan of a roof is 10 – 45 years depending on the type of roof and a number of external factors. Roof repair in the Beaverton area is inevitable, but having it performed by the skilled professionals at Pioneer Roofers can ensure you get the most out of your roof. There are some common problems that most homeowners encounter. If they aren’t addressed, they can end up causing further damage down the line; so, it’s always best to get it professional repaired as soon as you are able. Our emergency roof repair services mean better work in less time. With the stormy and rainy winters in Beaverton, leaks in a roof can occur without warning and escalate quickly. These can be caused by a variety of factors including natural disasters like falling trees, extremely heavy rains, or broken shingles. Water damage is progressive, and fast intervention can prevent the structural damage and mold that accompany it. Our Beaverton roof repair technicians have performed extensive repair work in all kinds of inclement weather. We have the training to provide you with high quality repairs that last, and the ability to do so quickly. Our roofing foremen are skilled at prioritizing, and know exactly what to work on, and in what order to prevent extreme damage from occurring to your home. Water isn’t the only hazard for property owners. Age and moss can slowly but surely devastate a roof if it is not properly maintained. Shingles are designed to withstand the elements, but only if they maintain their ability to repel water and the granules stay firmly rooted to the shingle tar. Moss rhizomes swell with water, slowly working these granules off. During the winter, freezing water has the same effect. 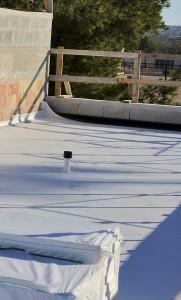 No matter what your roof type, or material, we’ll have it looking like new and providing the protection you deserve. For comprehensive roof repair Beaverton call (503) 281-0305 or contact us today. Beaverton is nestled right next to Portland, providing easy access for those who live in one and work in the other. Beaverton is home to giant industries of its own though, and has become a great place to raise a family. With a well regarded school system, and robust library services, it’s an excellent choice for anyone. The weekends see a bustling neighborhood culture spring to life as residents attend the Farmer’s Market. As part of the Tualatin Park & Recreation District, the city’s parks are carefully tended to, providing everyone with scenic well kept areas to engage in outdoor activities.